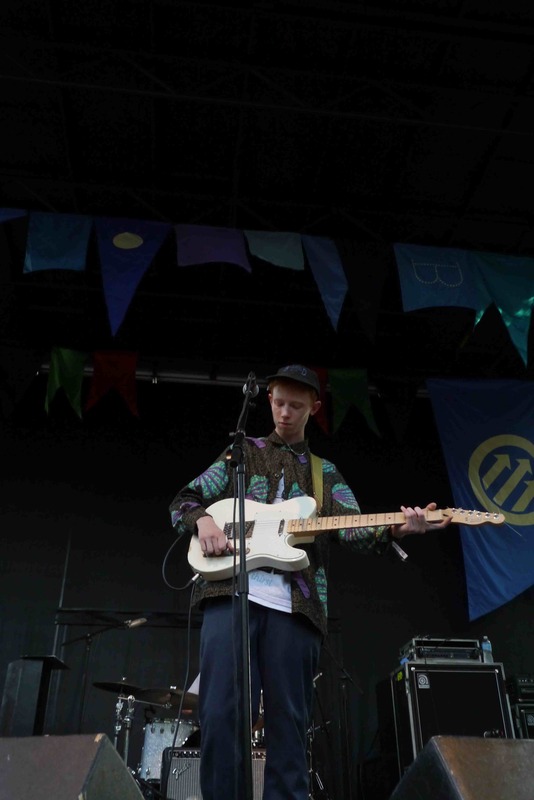 Krule’s greatest asset is his voice. It’s strangely deep and sonorous, suggesting wisdom beyond his eighteen years. Unfortunately we didn’t hear nearly enough of it: Krule’s vocals were consistently overpowered by run-of-the-mill bluesy accompaniments from his backing band. When at the very end of his set he launched into a solo rendition of his breakout single “Out Getting Ribs,” you had to wonder why he hadn’t played solo the entire time. I should mention that Krule was dealing with one serious setback that had nothing to do with poor artistic decisions: he was scheduled opposite fan favorite Beach House. Nevertheless, this appeared to be one of the most sparsely attended shows of the festival. 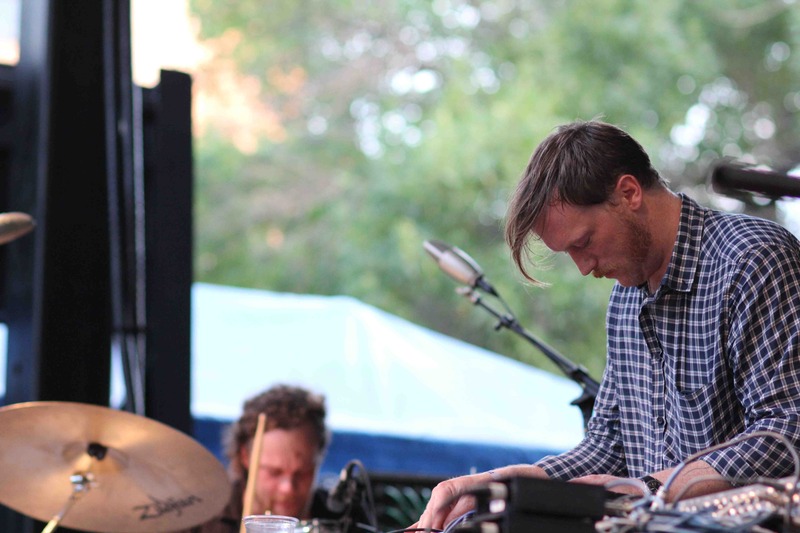 Closing Pitchfork’s side stage was Swedish electronic act The Field (Axel Willner). Following Krule’s sleepy ballads, The Field’s dance-friendly four-to-the-floor “minimal techno” came as a welcome relief. Willner’s music doesn’t yield its highs all at once: This is an artist well versed in the club DJ’s art of bringing an audience up and down slowly and deliberately. This can make listening to The Field feel like an exercise in delayed gratification. Willner added each new beat and chopped up sample one at a time. Guitars, synths, and drums (Willner travels with a band) came in at measured intervals. It got to the point where each new addition and increase in musical momentum warranted a cheer from the crowd. When the music finally did reach its peak, the dancing was pretty ecstatic (the crowd was thin – all the better for full limb extension). 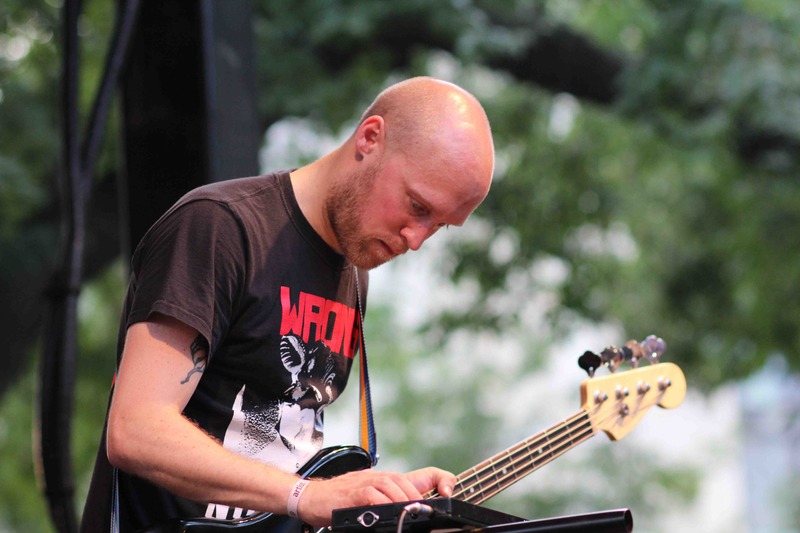 And when Willner finally brought us down to the ground, it felt like the end of a festival, not just the end of a set.